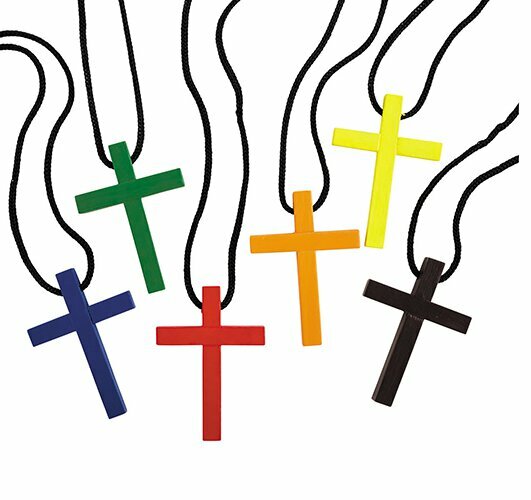 This colorful cross pendant assortment is well made and affordable. Pendants are perfectly priced for gifts and give-aways. Assortment includes 4 each of 6 colors: blue, green, red, orange, yellow and purple.